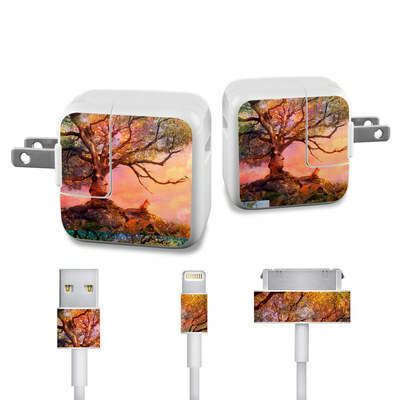 Remember, we offer over 1000 pieces of art as skins for your Apple iPad Charge Kit. I'd thought this might be a frivolous purchase. Then I took all my devices to a conference...and never lost track of which charger was mine. No man walked off with my charger, or forgot to give it back after borrowing it! Perfect, now I can tell my cord and charger apart from everyone elses! 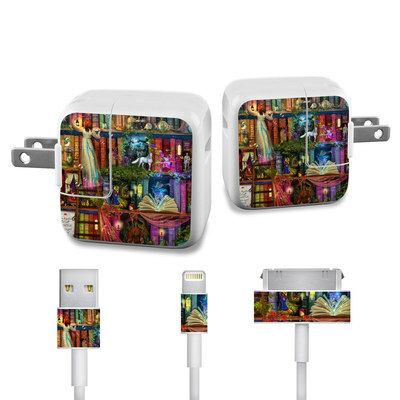 Good way to tell whose charger it is, but since the iPad square charger itself is in two separate pieces it could get dicey putting it on. Totally AWESOME!! Love the matte finish and the colors are really vivid for my Lavender Dawn selection. SO glad that this can coordinate with my ipad's new laptop sleeve! I'd sing its praises any day! Super cute!! Matches my yellow and pink case well!! I love stitch!!!!!! Great skin, covers enough of the charger & cable! Fits beautifully! And I love the pattern! I love having the skin on my iPad and the skin on the charger match. It looks so good! I have never had an issue from any of the skins I buy here.